Learning to ski is a rewarding but challenging experience. When you’re hurtling at breakneck speeds down the nursery slopes with no idea how to stop, it’s nice to be able to communicate your panic to your instructor. And although most ski schools in the Alps nowadays claim to have English-speaking instructors, it’s no fun to be left in tears thanks to communication difficulties! This is by no means an exhaustive list, but here are some schools that are reputed to have excellent (often British) English-speaking instructors. We advise specifying that you would like your lessons in English at the time of booking. France is a hotspot for British ski instruction and there are several larger companies with bases in more than one ski resort. The BASS (British Alpine Ski School) has ski schools with British instructors across the French Alps, including in Chamonix, Châtel, Courchevel, Les Deux Alpes, Les Gets, Megève, Méribel, Morzine, Tignes and Val d'Isère. 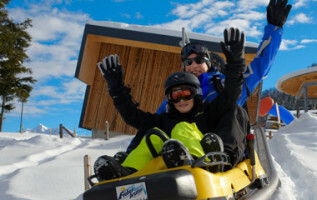 Family-run Oxygène offers English ski lessons in Val d’Isere, La Plagne, Courchevel, Meribel, Val Thorens, Les Menuires, and La Tania. New Generation, also present in Switzerland, offers English-language ski lessons in Avoriaz, Courchevel, La Plagne, La Tania, Les Arcs, Méribel, Morzine, Serre-Chevalier, Tignes, Val d’Isère, Val Thorens and several other smaller ski resorts. Ski and snowboard lessons at The Development Centre are taught exclusively by native English speakers; the company is present at Tignes, Val d’Isère and Méribel. Over in the Espace Mont Blanc, American-British Ski Pros Mégève employs a high percentage of American and British instructors. Avoriaz Alpine Ski School is one of the original British-run ski schools in the Portes du Soleil ski area. Masterclass in Alpe d'Huez is reputed for its English ski lessons, while Mountain Masters in Val d’Isère offers top-notch instruction with British and American instructors. Ultimate Snowsports at Tignes-Val d’Isère is proud to announce they have 100% British instruction. 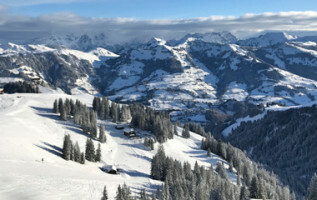 Snow Limits also provides British ski and snowboard instruction and is present in Courchevel, La Tania and Méribel, while LGS offers British instruction in Les Gets. This is by no means an exhaustive list; there are plenty of ski schools with native English instructors in France. Verbier in Les Quatre Vallées is hands-down the best place to find English ski lessons for our money. Element, New Generation (also present at Villars), European Snowsport, Warren Smith Ski Academy (also present in Cervinia), Altitude and Performance Verbier all have highly qualified British ski instructors. Summit Ski and Snowboard School in Zermatt employs native English speakers and is the only ski school in Zermatt to offer group lessons entirely in English. Altitude also gives English ski lessons at Grindelwald and Wengen. Most of these schools offer the chance to read the instructors’ profiles on the website, a nice touch when booking your lessons. Austria: The perfect chance to learn some German on your ski holiday! While ski courses in Austria are not as heavily targeted towards the British market as they are in France or Switzerland, there are still a few options out there. Skivolution in Kaprun offers ski lessons with BASI-certified coaches, and the rapidly expanding New Generation ski school recently opened a school in St. Anton am Arlberg. 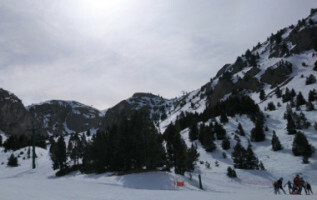 While not strictly in the Alps, Andorra is popular with Brits and known for having loads of English-speaking ski instructors in its many ski schools. Soldeu and Arinsal are the best places to find BASI-approved English-speaking instructors, many of them British. Pas de la Casa also has English-speaking instructors. A little further down in the Spanish Pyreness you’ll find the British-owned Baqueira British Ski School, at Baqueira-Beret. The ski resorts in France are by far the most adapted to the British market, although Andorra and Switzerland are doing their best to cater to British skiers and snowboarders as well. While there are many other options out there, we hope this article will help you on your way to finding the perfect ski or snowboard instructor. Of course, there’s always the chance you’ll get lucky and find an instructor who is not a native speaker but still has impeccable English! Remember to specify when booking that you would like your lessons in English – if available, use the option to choose a specific instructor based on their online profile. You can usually book lessons online in advance of your holidays and some companies even accept payment in pound sterling.